How does a CEO from the transport industry gain a reputation as a leading thinker about our digital future. By using innovative methods to implement a compelling vision harnessing revolutionary techniques in which digital technologies play a key role. 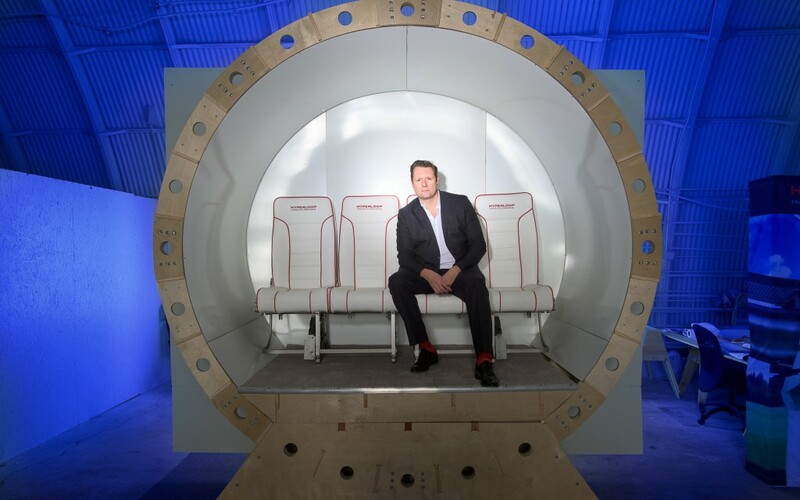 Dirk Ahlborn, CEO of Hyperloop Transportation Technologies (HTT), is developing an ultra-fast pneumatic tube system for humans. The ultimate aim is to transport people from place to place at up to 1,200 kilometers per hour. The global village might just be one step closer to becoming a physical reality. While the digital elite are enthusiastic, however, doubters wonder whether this new form of transport really adds up. Klaus Rathje spoke to Dirk Ahlborn for digtator.de. … but from a technical point of view, it’s actually not that difficult. Imagine taking a normal train, putting it into a tube, and then sucking the air out of that tube. That train can now travel much faster and with much less energy than before – after all, people don’t talk about air resistance for nothing. The propulsion itself is electromagnetic. This has been possible in theory for decades. In the 19th century, there was a company that wanted to build a pneumatic subway system in the USA, which, of course, didn’t work out. There were also a number of subsequent ideas that weren’t successful because of local factors. We are now working on an optimized concept that is compact and easy to build, and that would therefore be profitable. 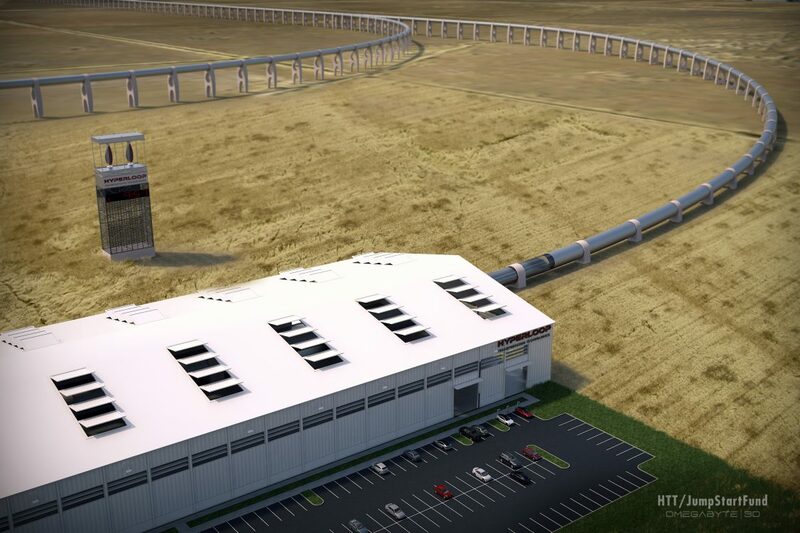 Question: The original idea for Hyperloop came from Tesla CEO Elon Musk. How did you stumble across it? At the time, I was working for a platform that enables companies to find employees that are as passionate as they are. After all, we use the Internet for all sorts of things: for shopping, making friends, or finding the right partner. You can even get divorced on the Internet. Our objective was to find like-minded people for innovative projects. That led me to Elon Musk. He presented his Hyperloop concept there, but he said right from the start that he wouldn’t have time to work on the idea himself. Question: So you found the right people for the job? We put together a team of 100 engineers for him, who then carried out a feasibility study. That was in December 2014. Today, there are more than 500 people actively working on the project, plus 20 to 30 companies. And then there’s a worldwide community with a good 20,000 members providing us with support. Question: You’ve put together an international team, and even MIT students are developing parts of the Hyperloop. The MIT students came top in an open-source competition with their prototype capsule, winning the right to develop the top segment. Generally, collective brainpower is a lot more important than crowdfunding, i.e. money. I’d rather have a top NASA scientist for 10 hours per week than an average one working full time. And we are actually using that approach throughout the project, which is working very well. These people are distributed all over the world, and each person contributes a few hours a week to the project in exchange for stock options. They’re incredibly motivated, as they’re really committed to the matter in hand. Question: You’ve now found a country – Slovakia of all places – that would like to work with Hyperloop for a test route. Yes, we have an agreement with Slovakia. In the next step, we’ll be examining where this test route would work best and what it would cost. 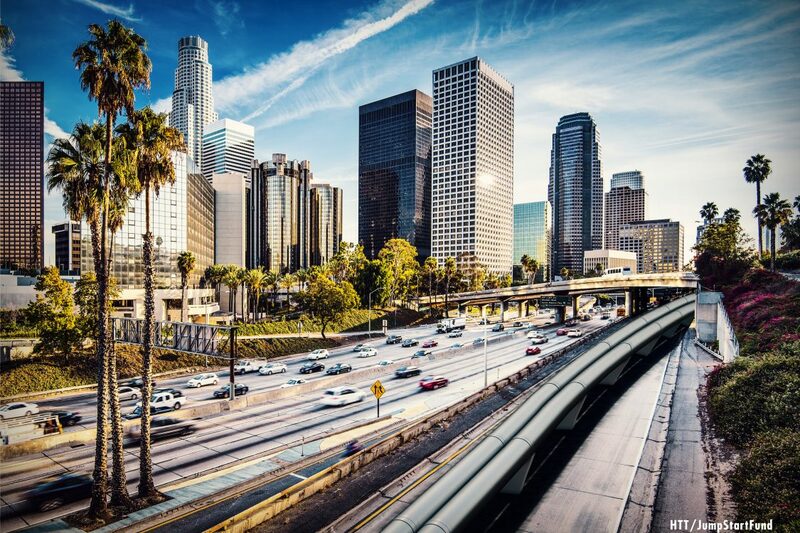 We are negotiating with 20 pairs of cities around the world that are interested in a fast transport connection using Hyperloop. Question: From a purely technical point of view, it appears to be possible, but in some cases there are ridiculously high implementation costs on the table. The total costs involved are much lower than for a normal high-speed train. But the most important thing is to have a business model that will recover the investment. We want to make travel an experience that is tailored perfectly towards the customer. Also by using Big Data technology. We could, for example, incorporate personalized advertisements. It would appear that the real problem we have in public transport is that there is practically no rail company or subway system that makes a profit. These companies are dependent on public funds. In our case, that’s different. We produce more alternative energy than we use. From the energy we need for propulsion, we recover around 60 percent during deceleration. Combined with solar, wind, and kinetic energy, we really do end up with a surplus. Question: But is everyday passenger travel really still a market for the future? After all, people like Richard Branson are predicting that at some point there will no longer be any offices at all because we can work together digitally. Doesn’t that make the Hyperloop superfluous? I think the working world will more likely change in such a way that people will work for several companies rather than just one. Back when laptops were introduced, people were predicting that we would soon no longer need an office. But that hasn’t been the case, either. The people of the future will still want, and find it necessary, to travel from A to B. Question: Let’s assume the entire world would adopt the Hyperloop as a standard means of transport. What would be the consequences? I would probably compare it with the advent of rail travel, a development that radically changed the world one and a half centuries ago. Thanks to the significantly higher speeds of Hyperloop, people will be able to live in one city and work in another that is very far away. Or they could live in the country, but be in the city in just 10 minutes. You could travel from Berlin to Cologne in 25 minutes. And from there, you could be in Paris in another 20 minutes. Question: The term “long-distance relationship” would be put into a new perspective, too. Question: More than 1,000 kilometers per hour – I’m aware that a plane also goes that fast in the air, but wouldn’t this speed be a lot more noticeable on the ground? No, what you would notice, of course, is the acceleration and deceleration, but the Hyperloop wouldn’t just shoot off immediately like a rocket. The pressure is limited to 1 g. That’s the kind of pressure we all experience when an average car accelerates. In a sports car, the pressure is actually double that. So the human body can deal with 1 g very comfortably. Question: Do people sometimes think you’re crazy when you present this concept? Well, it isn’t actually about me. I’m only the person standing up front. We are a community of experts who either work or have worked at Apple, Boeing, Tesla, NASA, or Disney. The project is moving forward, and the number of people who think we’re crazy is steadily in decline. 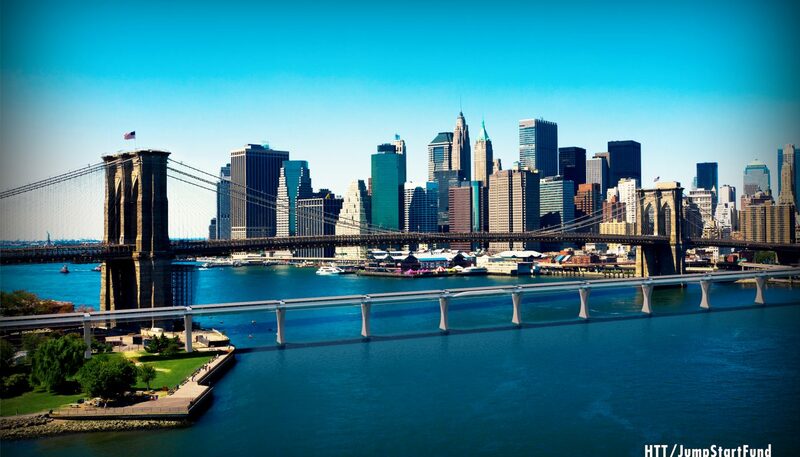 Question: Are you yourself afraid that the Hyperloop will become reality and would change the world? No. After all, I think it would change the world for the better. Right now I’m travelling a lot, including by plane. So I can hardly wait. The original version of this article appeared in international media magazine “Digtator,” produced by Munich-based content marketing agency grasundsterne.